Is Huawei developing a 512 GB phone? It appears Huawei might be working on a smartphone that offers a whopping 512 GB of storage space. A recent online listing for a Huawei device offers specification details such as 6 GB RAM and 512 GB ROM. If the Chinese technology company is actually developing a handset with such an amount of storage, then it will be twice the size of the largest amount of storage the iPhone X currently offers. 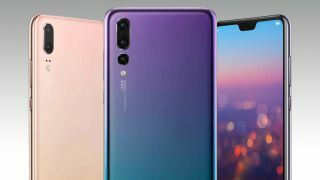 Huawei is the third-largest smartphone vendor in the world at the moment and it’s no secret that the Shenzhen-based company wants to overtake both Apple and Samsung to take first place. To do this, the tech giant needs to bring innovations to the market to make its flagship and mid-range devices more attractive to consumers than smartphones produced by the company's rivals. According to an online listing with the Ministry of Industry and Information Technology of the People’s Republic of China, this may be what Huawei is already doing. The listing, spotted by PhoneRadar, has information in regard to a device known as “NEO-AL00.” The database record shows there has been a recent memory change, now adding the specifications “6 GB RAM” and “512 GB ROM.” It is possible these details have something to do with the rumored Huawei Mate X concept device, although there have even been suggestions that this huge storage specification relates to the upcoming P20 Pro device. Huawei is preparing to launch the P20, P20 Lite and P20 Pro in Paris on March 27, but the Chinese tech firm will not be resting on its laurels for too long. > Notebook / Laptop Reviews and News > News > News Archive > Newsarchive 2018 03 > Is Huawei developing a 512 GB phone?